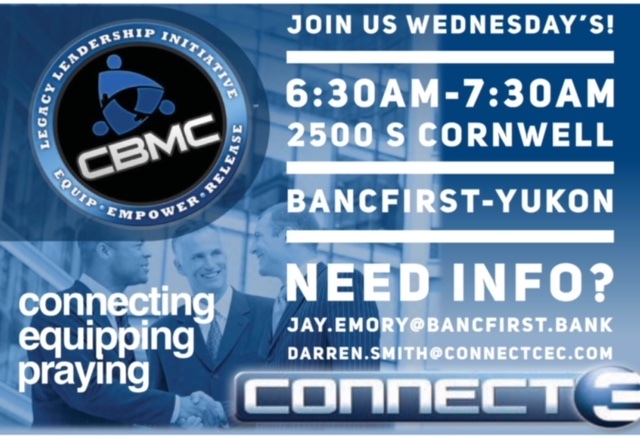 Our group gathering will meet Wednesday morning (9/12/18) at 6:30am in BancFirst lobby located at 2500 S Cornwell, Yukon. Try to make it and consider inviting a guest. Are you doing alright this week? Finally drying out a little bit…and actually seeing the sun again! We ran through this a few attributes ago (I think), but for my sake I need to toss it out here again. Our goal in everything we do is to glorify God. Right? If this is an accurate statement, how am I doing? If you are like me….my gut response is: "Thanks for that Jay! I did _______ today and that sure didn't bring Him glory." Dave Ramsey talks about taking "baby steps" to arrive at financial freedom. Many small steps, over and over, and then finally the needle moves. It takes time, patience, perseverance, etc. Likewise in faith. We forget that in our faith it is a ONE DAY AT A TIME thing…taking small steps toward bringing Him glory - today. Renewing our mind (Rom 12:2) daily as it were to facilitate the moving of the needle in our personal lives. And when our lives are impacted, the lives around us are impacted too. The more we commit and obey, the more intimate our relationship becomes…and the spiritual outflow is God glorified. Each baby step of commitment…glorifies God. Each thought we take captive to Christ…glorifies God. (Commitment to God + Obeying God) x Time = long term glorification of God. 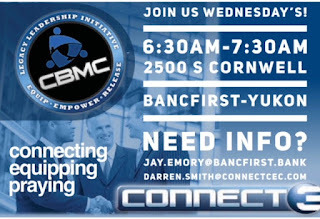 Have a great week and I hope to see you Wednesday!